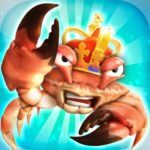 The king of battle royale games has finally arrived on mobile platform! Tencent Games has just released PUBG Mobile on Android and iOS devices, and fans of the game are beyond thrilled! If you haven’t hopped on the bandwagon yet, now is your chance to find out how this single title was able to create a worldwide phenomenon that changed competitive gaming forever. The game revolves around a battle arena where a hundred players will have to fight to the death until only one remains. The participants are all dropped onto an island with nothing but the shirts on their backs. 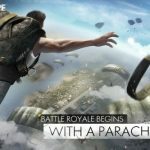 They will have to parachute down and scramble to find weapons, armor, and other supplies that would help them survive. Such a novel idea has never before been executed so well that the game has become an instant hit. Marvel at the stunning visuals and realistic combat system. Well, you better not gawk for too long or someone might kill you. Be sure to check out our PUBG Mobile strategy guide to ensure your survival! 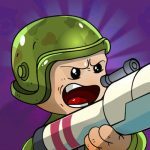 One of the main challenges of creating a mobile battle royale game is the limitations on controls. Since all the buttons are on the screen, you are stuck with the use of your thumbs. You will need both thumbs free in case of combat since you will need to aim with one finger and shoot with another. How, then, will you move? The answer is auto run. When you use the virtual joystick, you will see a small green icon. Drag towards it to activate auto run. This is useful even outside of combat since you will be able to look around while running. Just tap and drag the eye icon below your map to make your character look around. Doors will also automatically open when you auto run into them. Keep in mind, however, that if the door does not open, that means someone else has closed it. That means you could be walking into an ambush. When you hit the ground, you will have nothing on you. Your job is to run like mad and try to pass any loot if you can. Don’t worry about picking them up because the game will auto loot your first weapons, drinks, painkillers, and med kits for you. This helps you survive the starting dash where everyone is just trying to kill each other with frying pans. Later on, you will still be able to pick up new weapons, but you will need to do so manually. It makes sense because you don’t want to accidentally drop a weapon you like while running by other loot. When you are being shot at, you can’t afford to stop for even a second. Make sure you move from side to side to make it difficult for your opponent to aim properly. The mobile platform isn’t really aim-friendly so even the added sidestep could make a huge difference in your opponent’s ability to hit you. Of course, it would be difficult for you to shoot while doing this as well. Make sure you practice shooting while moving as much as you can. It may take a while but when you have it down, you will be racking up kills in no time. There will be times when you will spot an enemy who has no idea where you are. You will have a small window of opportunity to take them out before they can return fire or run away. This is where precision aiming comes in handy. If you have a weapon that is equipped with a scope, you can tap on the crosshair button on the right-most side of the screen. This will allow you to zoom in on your opponent. Try to aim for the head in order to deal the most damage. Your first shot is crucial, so don’t reveal your location until you are sure of your aim. Some weapons have multiple fire modes. You will see a Chinese character to the left of your weapon that allows you to change between single fire and burst. You want to use single fire if you need stability and accuracy. Switch to this when you are shooting from mid to long range. Burst fire allows you to deal damage quickly but it sacrifices stability since your weapon will be recoiling a lot. It is useful when firing closer opponents since you want to be able to hit them as much as you can before they can take you out. The map is useful for a lot of things. One of its most basic uses is for you to be able to plot your movement as the safe zone shrinks. Aside from that, however, you will also be able to see where nearby enemies are firing weapons. You may not be able to pinpoint their location, but even a rough estimate can help a lot when it comes to avoiding danger. If you want, you could even venture towards where the action is, and see if you can snipe a few injured players while they are busy fighting each other. Just be careful that you don’t walk into the line of fire. The game has a few more visual cues that can help you win if you know how to pay attention. First off, you can mark any location on the map. Doing so will give you the estimated distance of your marker as you move around on the map. This is useful for telling your teammates where you want to rendezvous after looting. You could also use it on your own for planning your moves without having to repeatedly open the map. Another help that the game gives you is that it highlights items that can be useful to you. This will help minimize time wasted while running around towards items that you don’t really need. Ammo and weapon attachment that you can use will be highlighted, so you will know if there is a point in running towards them or not. 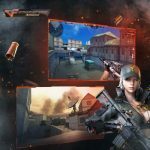 It is time to test your skills against players from around the world in PUBG Mobile! Follow our beginner’s guide and you will surely take home that chicken dinner!